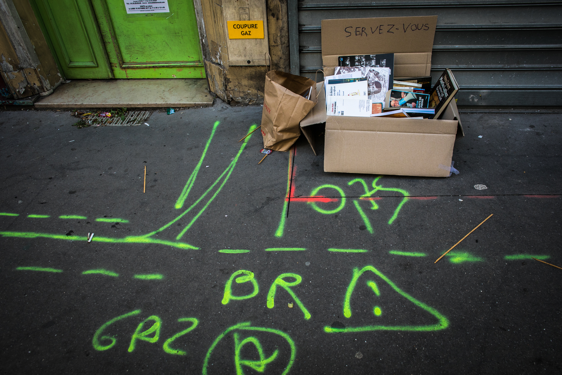 As a result of his secondment, this ongoing research was initiated with the aim of analysing the phenomenon of gentrification in the Parisian quartier of Belleville. The methodology combined socio-economic analysis from an academic point of view, the practice of drift as an artistic technique for investigating urban space and audio-visual documentation of the process (in collaboration with photojournalist and specialist on gentrification Eva Mañez). The drift technique has been and is used in research from different disciplines that share an interest in urban matter. This artistic research technique has enhanced the researcher to become a part of the movement and the rhythm of Belleville. Together with its flexibility to incorporate what unexpectedly happens in urban space, this technique is particularly appropriate in the current context: society and its cities that are constantly in transit, surrounded by streams and in constant transformation. 1. A conceptual theoretical framework on gentrification. 2. A research methodology that combines the economic and artistic approaches. 3. A case study applied to the reality of Belleville. 4. Different audio-visuals pieces that collect the interviews carried out. 5. A photographic background that documents the drift made by the research.